Warm up you and yours with a cozy Uel Log sweatshirt! The Uel Log was designed by Uel himself (me), and with its fun colors and clean design, it'll keep you warm all year-round, not just the yule tide season. 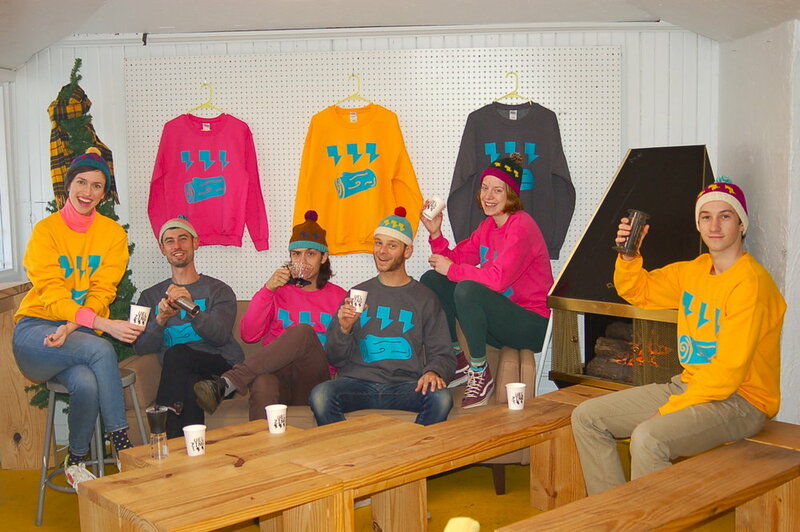 The crewneck sweatshirt is currently at the cutting edge of 'norm-core' fashion, if you haven't heard ;) Not to mention, they were locally screen-printed by In Case of Emergency Press. These hand-knit, 100% wool hats are super cool and one-of-a-kind. Lindsay has knit up a few fun color combos and can easily do custom colors, too. They are super limited edition, so order yours quick! This is pretty much the best coffee magazine with interesting and relevant info for baristas and coffee enthusiasts. They cover coffee events, product reviews, interviews with coffee industry big wigs, and even have 'field reports' from various coffee farming regions. One other magazine to check out is Roast Magazine, especially if your coffee person is interested in roasting coffee. Moleskin is a well known maker of nice notebooks, and they make one especially for coffee drinkers. 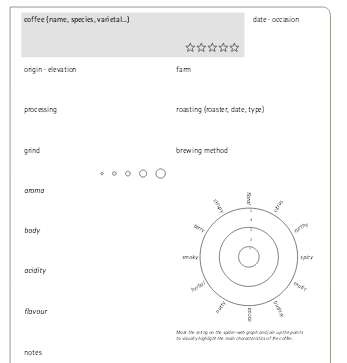 It has fields to document every cup of coffee, from the cafe or roaster, to a flavor wheel and tasting notes. A lot of roasters will offer subscription/delivery services, and there are a few larger companies that curate subscriptions from a variety of roasters. 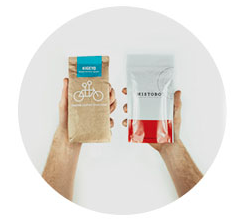 Mistobox is a pretty cool one that curates your subscription to your own tastes with beans from cool roasters (and they also have some good how-to-brew videos!). But also be sure to check with your favorite local roaster too, like Tinker Coffee in Indianapolis. For good coffee, even extraction is the name of the game. For even extraction, you need even sized particles. And for even sized particles, you need a burr grinder. A burr grinder allows you to precisely set the grind size, something you can't do at all with a cheap blade grinder. There are various hand grinders available that will be a little less expensive and more portable than electric grinders. We carry the Porlex JP-30 and the Hario slim, both great ceramic conical hand grinders, plus the Porlex fits inside of an Aeropress. For electric grinders, Whole Latte Love has some great video reviews (see below). 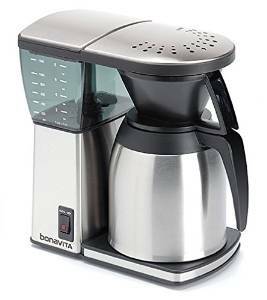 I recommend the Baratza Encore as the best, least expensive option, around $130. 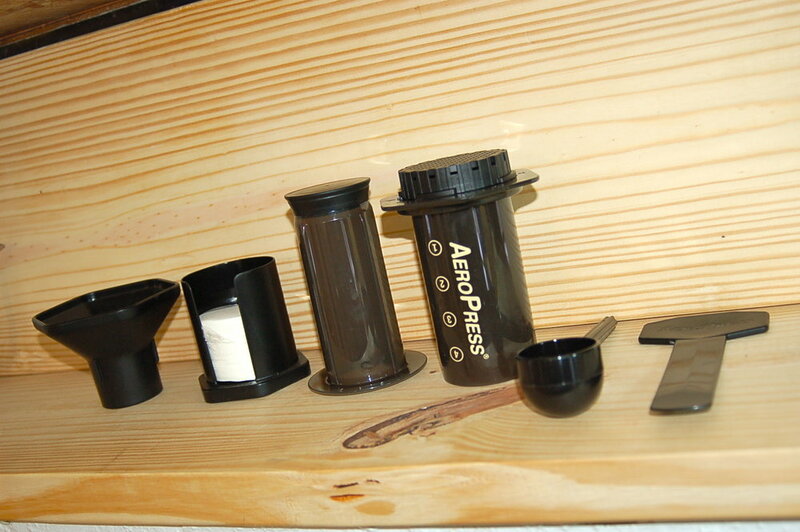 Invented by a Stanford professor of plastics, the AeroPress is a fairly recent addition to the coffee world, but totally coffee snob approved—there are even World AeroPress Championships! It combines the full-immersion of a French press with the clean texture of a paper filter with the speed espresso-like pressure. It's lightweight, durable, easy to clean, and makes a damn fine cup of coffee. There are a variety of pour-over cones on the market, each ever so slightly different. The V60 is one of the most popular among specialty coffee shops. The angle of its cone is 60° and it has one big hole in the bottom for a good flow rate. These are cool little disposable pour-over creations, great for camping or travel. Little Red Wagon Coffee is based in Bozeman, Montana, and they pretty much invented these for adventure. The one faux pas for coffee snobs is that the coffee is pre-ground, but they do have the roast date written on, and man are they convenient! This is an important tool for really nerding out and being scientific. A good coffee scale will use grams as the main unit and be able to read to at least the tenth of a gram (0.1). 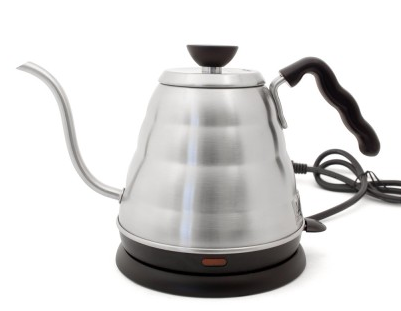 Hario makes a very popular model with a built in timer (that only counts up from zero). My Hario scale got wet and quit working, so I replaced it with this non-coffee brand scale for much cheaper, and it looks much sleeker. If your coffee enthusiast is getting by with a standard kettle, help out their pouring precision with a goose neck kettle. For pour-overs, say Hario V60, Kalita Wave, or Chemex, the goose neck kettle really helps to distribute water more evenly for an even and full extraction of coffee flavor. If your favorite coffee drinker isn't ready to geek out on manual brewing devices, there are a few decent automatic machines available. Norwegian coffee legend Tim Wendelboe helped to design the Wilfa Precision Coffee Brewer, and I think I remember reading somewhere that he also approves of the Technivorm. Those are both really cool, but for a less intense and less expensive option, I recommend the Bonavita. Its shower head drip feature helps to evenly shower hot water over the coffee bed for a pretty even extraction.